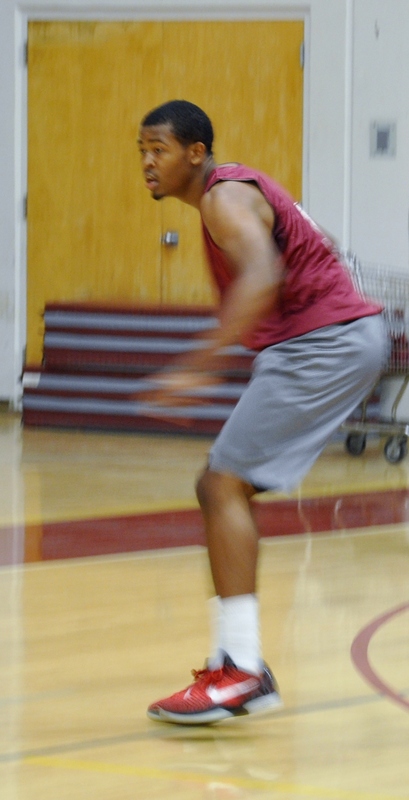 Sean Boston, 6’4″, 200 graduated from Banning High School in 2009 and averaged 24 points a game. He and his parent moved to Arizona where he signed with a national JUCO, Phoenix College, where he was a starter as a freshman and averaged 8.6 ppg. As happened so often, Sean was lonesome for California and decided to transfer back. He chose Citrus College and to skip over the details, he was asked to red shirt last season and he agreed. According to Sean it was time for him to re-evaluate whether Citrus was the team that would bring him to what he wanted in his future; To play basketball at the D-1 level, get his degree, and then go as far as he can. His decision? Antelope Valley College was where he wanted to make it happen. He signed up for for classes at AVC and practiced with the team for two days when it happened. Sean went up for a rebound and came down on another player’s foot when he felt something snap in his foot. He tried to continue to practice but the pain was too intense. He headed to the emergency room and was diagnosed with a broken bone in his foot. Within three days, he underwent surgery. Mr. Boston has been undergoing rehabilitation and the healing process has gone faster than expected. If the rehab and healing process continues as expected, it looks like he will be released to intensive rehab by late September. Sean wanted to let the AVC fans know the following, “If you think I was dedicated to winning and getting a scholarship before my injury, you haven’t seen anything yet!” Sean was at the first day of practice in August. The temperature on the outside was 108 and inside the gym it was in the high 90’s. Was Sean sitting there watching his teammates? Yes but he was doing it from the seat of a stationary bike. He was soaked with sweat when he said, “I can hardly stand this.” “ I want get back on the floor.” Keep an eye on Sean.